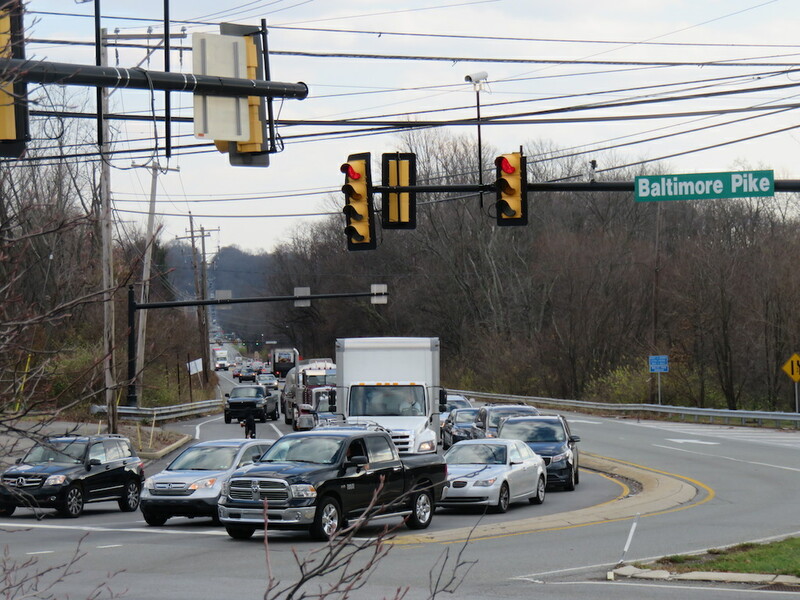 Under the U.S. 322 (Conchester Highway) Improvement Project, PennDOT is adding new, adaptive traffic signals to intersections along the project corridor. According to the FHWA, poor traffic signal timing contributes to traffic congestion and delay. 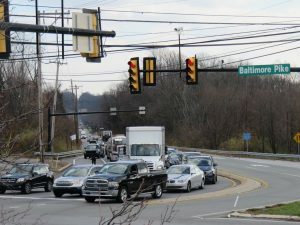 Conventional signal systems in place along U.S. 322 (Conchester Highway) and elsewhere use pre-programmed, daily signal timing schedules to trigger traffic signal cycles. However, adaptive signal control technology adjusts the timing of red, yellow and green lights to accommodate changing traffic patterns and ease traffic congestion. Prolong the effectiveness of traffic signal timing. Read more about the FHWA's use of innovative traffic signal technology, go here. There are many alternatives to driving alone, including taking transit, ride-sharing, alternative work schedules, working from home, and more. PennDOT and the Delaware Valley Regional Planning Commission (DVRPC) have teamed up to help you find the best way to get to work during construction, and after. Better commutes mean better work at the office or site! Click here or contact DVRPC’s Office of Commuter Benefits to learn more. Our region's transportation management associations (TMAs) are administering components the DVRPC's Mobility Alternatives Program (MAP) that will help employers and employees find creative ways to get to work on time, and back home again. Click here to find other TMA's in the region.